One Shoe once again sponsors the EHealth Convention.One Shoe will also be there to share our knowledge digital innovation opportunities for better healthcare. The EHealth Convention focuses on the latest developments, applications and innovations and their impact on healthcare. An interactive day with sessions, presentations and live demonstrations of innovation projects. What function do digital tools and resources have for the healthcare organization of tomorrow? Where are practical digital innovation opportunities? 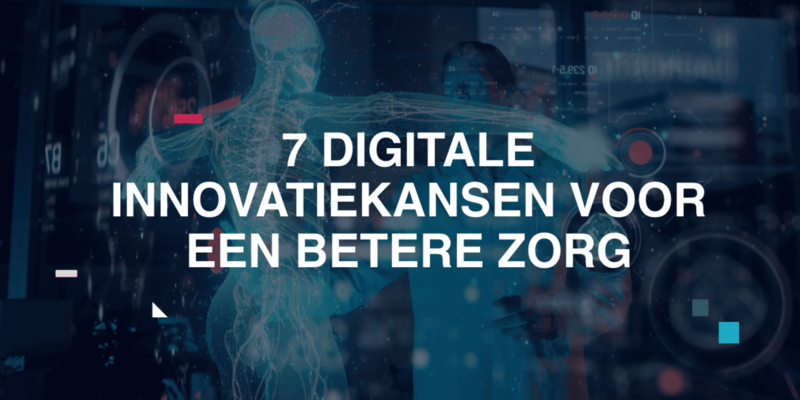 Michel van Velde (CEO) and Floor van Riet (senior UX Strategist) will examine how healthcare organizations can provide distinctive ways for the digital needs of patients and their loved ones. They will also reflect on the digital trends and developments for 2019, including chatbots, conversational interfaces, API-first and content marketing. With examples from our work for o.a. Kanker.nl, Jeroen Bosch Hospital and Thuisarts.nl. The session starts at 11.40 in the IJzaal. The EHealth Convention offers new, inspiring and proven applications of EHealth. For all organizations and professionals in healthcare, startups and tech companies that are actively engaged in the quality and efficiency of the healthcare sector. The event will take place on Thursday 15 November at Pakhuis de Zwijger in Amsterdam. As a sponsor and speaker of the event, One Shoe invites you to come. Use the (100 euro) discount code: SPREKERSNETWERK during your registration.